Student summer workers and volunteers have been busy in the province since June. They help out in various capacities - wherever needed. 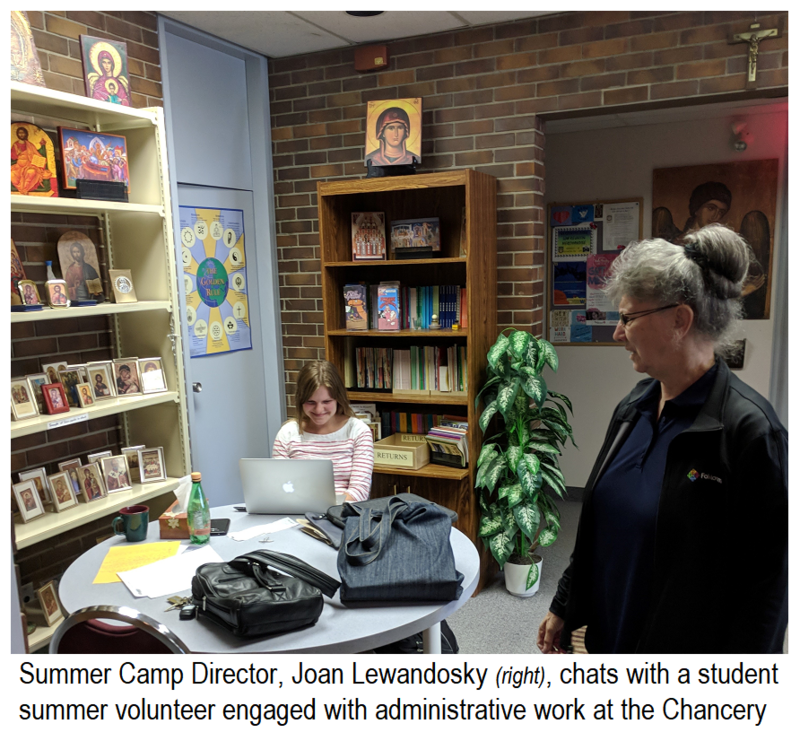 One of their biggest projects are the children's summer camps organized by the Archeparchy past Gimli at lakeside Ukrainian Park. They are busy with the massive effort as workers, counselors and staff members. Their work starts well before the camps begin and continues well afterward. 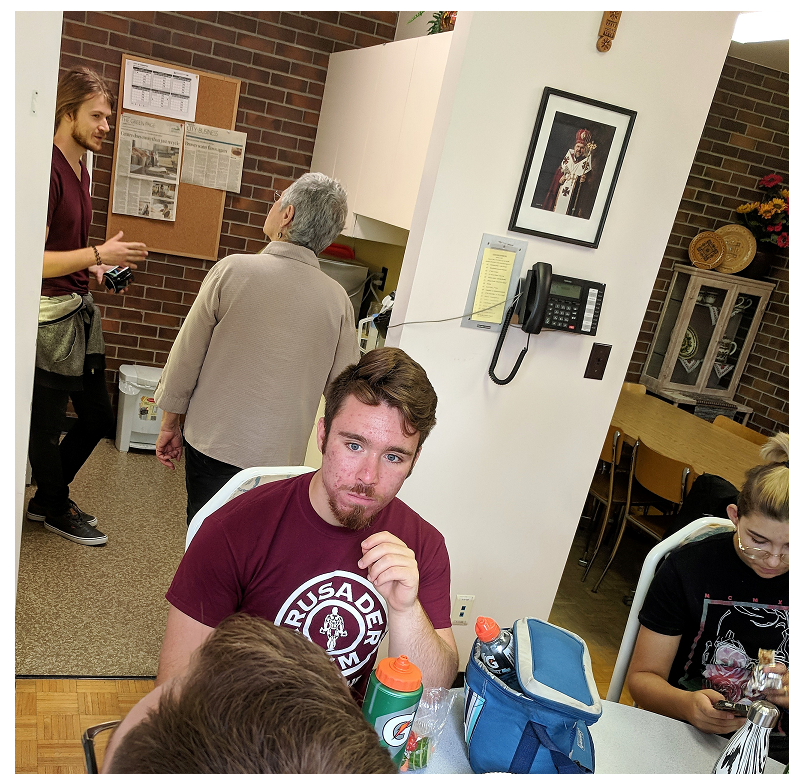 They also help out in other places where the Archeparchy can use their enthusiastic spirit, energy and willingness to become engaged in manual labour or administrative work. Camp Director Joan Lewandosky-Kuzia is the main facilitator of the student summer projects effort. 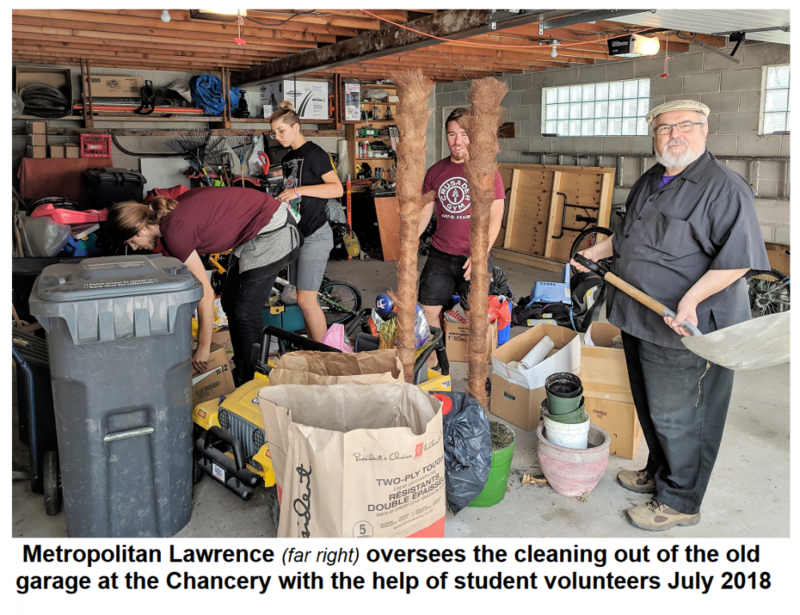 Metropolitan Lawrence, however, was thrilled that the young workers not only helped at the camps, but they came to the chancery offices on Scotia Street to reorganize the stored items and books, etc. and generally do a good clean-up of the facilities. In fact, he got right into the work with them and they got a lot done. 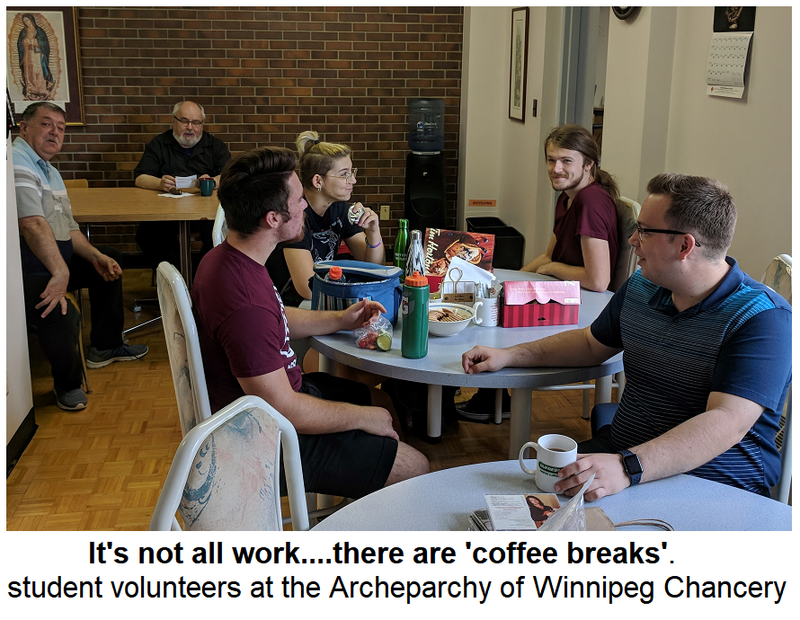 The chancery staff was also very happy to have the young workers around to liven up the place that sometimes can be a bit more slower-paced during the summer weeks.